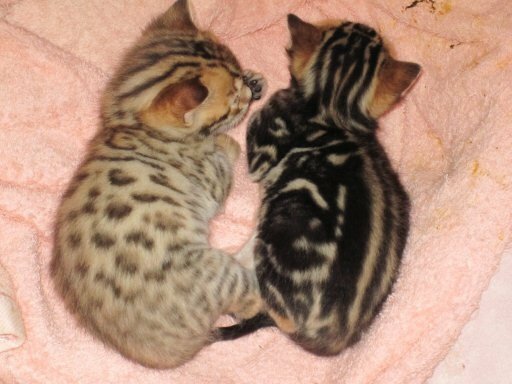 Bengals are well-known for their “wild-looking” markings and a light belly. Some people think that Bengals are large, but in fact they are not much bigger than a typical domestic cat. 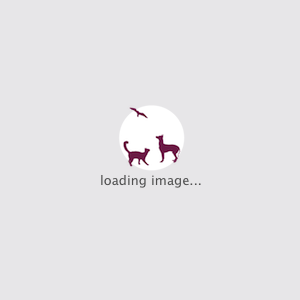 Find out more interesting facts about this awesome, exotic cat breed! 1. 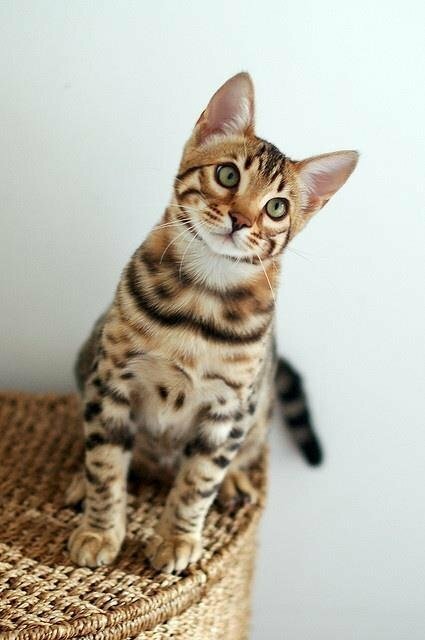 Bengal is a relatively new exotic breed, which is actually a hybrid of the wild Asian Leopard Cat and domestic cats. 2. 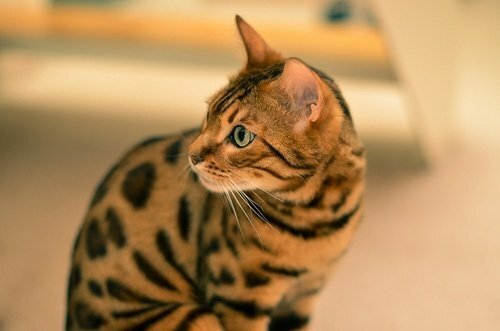 Bengals have two basic fur patterns: spotted/rosetted and marble. 3. 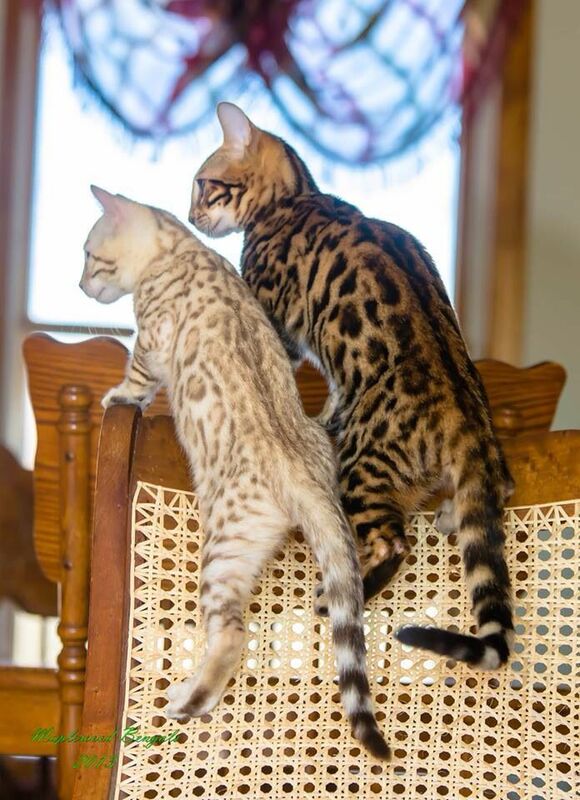 There are three main colors recognized in the Bengal: Brown, Silver and Snow. There are also a few rare, ‘non-standard’ colors which occasionally appear, such as Blue, Melanistic, Chocolate, Fawn, Lilac and Cinnamon. 4. 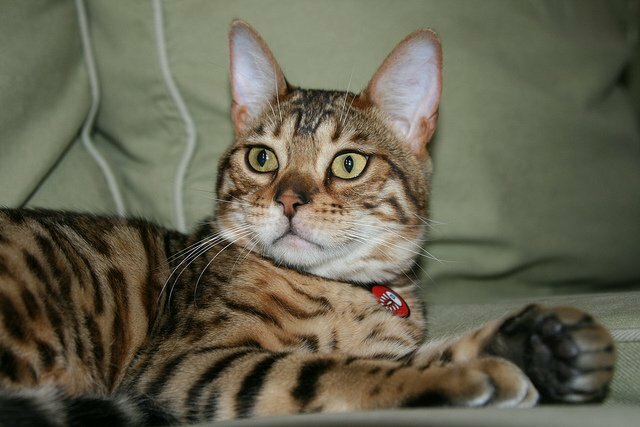 A unique feature of the Bengal is a super glossy coat. Some cats inherit the so-called “glitter gene,” which gives their coats an iridescent quality. 5. 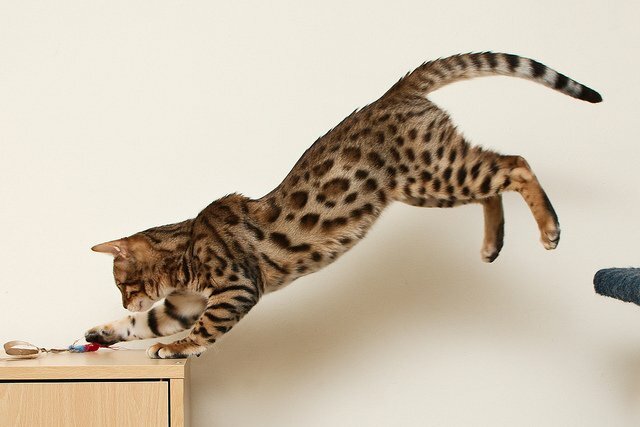 Bengals are very active and extremely intelligent. Sometimes they are considered doglike rather than catlike because they may perform many dog tricks and have a good training ability. 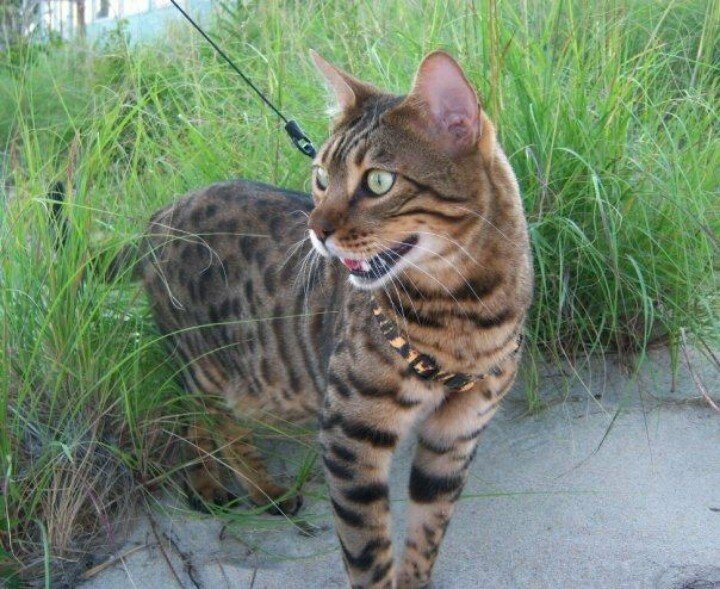 It’s not uncommon for Bengal owners to train their cats to go for a walk on a leash. 6. Bengals have a clear “M” on the forehead. 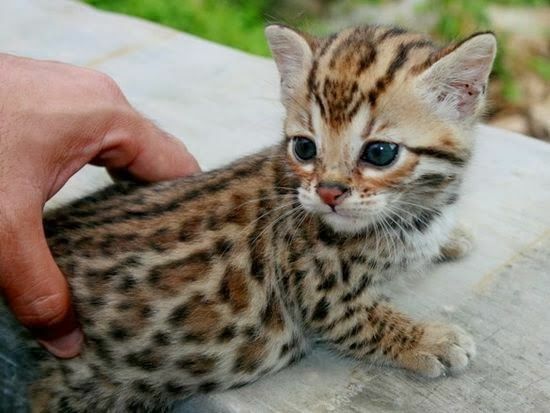 Would you love to get this lovable house-pet with the look of a wild leopard? Or maybe you already have one? Share your experiences with us!